Drop tables are made to order. 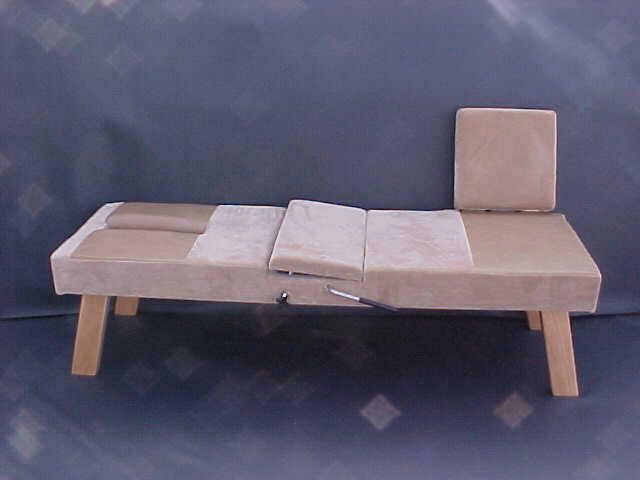 We designed our drop tables back in 1992. 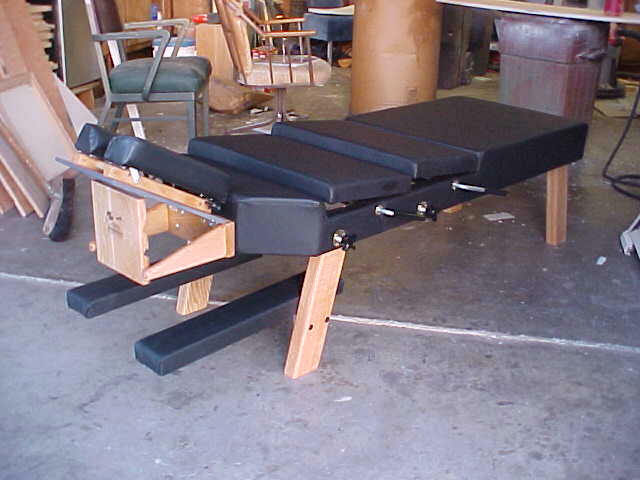 These drop tables were made for Dr. Michael Gazdar, in walnut Creek Ca. The drop tables we made for him are still in use and going strong after thousands of drop table adjustments. 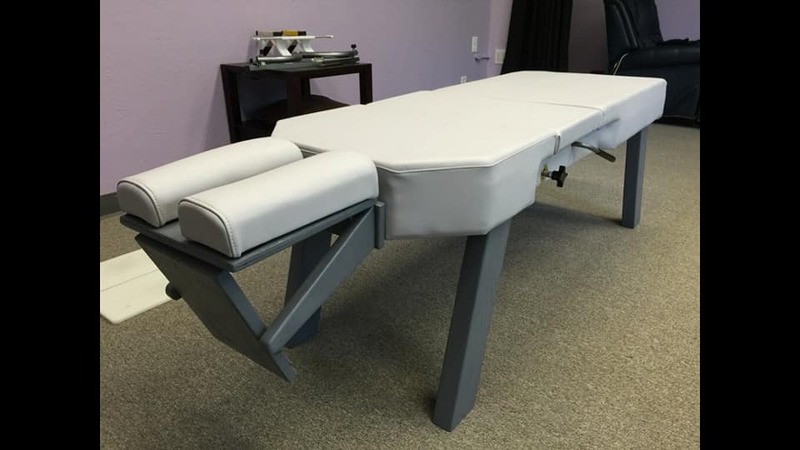 This table has both the the pelvic and thoracic drop as well as the cervical drop, with multi level tilting angles.Arm rest are included on this table. 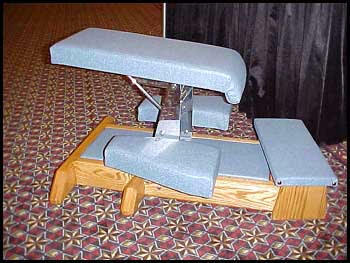 Pelvic drop table with cervical chair attached. 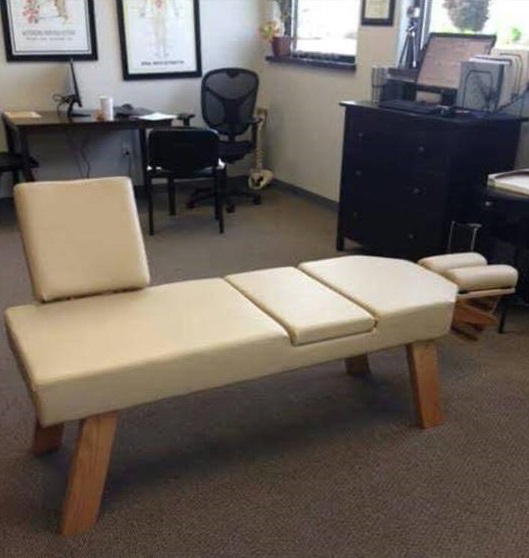 You pick the side of the chair. 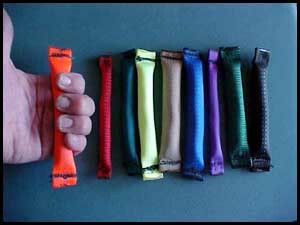 You pick the color and the ht. 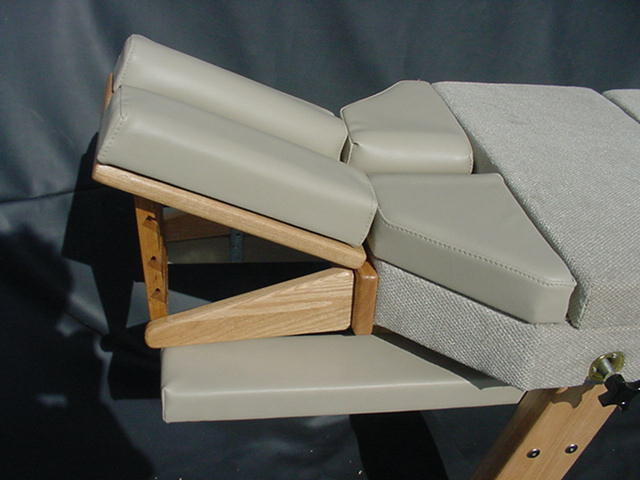 and the side of the cervical chair. The nose slot on this table is16" long for a more versatile table. 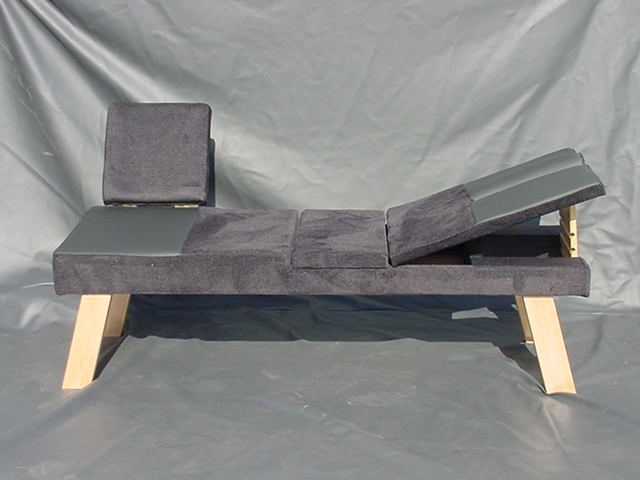 The Dorsal block is a device that allows for a deeper set when performing the anterior thoracic move. This device also will save your hands in the long run.